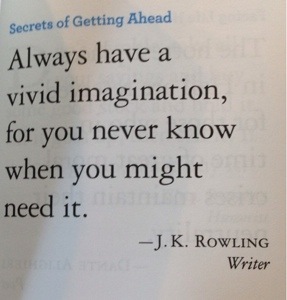 According to J.K Rowling, magic can strike you anywhere – including on the back of a sick bag! If you’re a fan of Harry Potter and his author J.K. Rowling, you probably know that the author has a penchant for writing on some decidedly unconventional surfaces. It is a well-known legend that Rowling first jotted down her initial thoughts and ideas for Harry Potter and the Sorcerer’s Stone on a napkin while sitting on a delayed train from Manchester to London back in 1990. And it was revealed in 2017 that Rowling has a dress hanging in her closet with an unpublished manuscript written all over it. So Rowling’s most recent admission of just where she first scribbled her thoughts for the four Hogwarts Houses is not exactly surprising, though it is inspiring. In a series of tweets published by the author on 15 December 2017, she related some of her writing habits and thoughts on the HP series to curious readers. But it was in a response to one user @LizWintersMM who wrote, “Years ago, at a birthday party, with no notebook in my purse I was forced to write on napkins when inspiration struck. Now I always carry a notebook, but I’ve also been know to use my evernote app for random notes,” that Rowling revealed her own lightning bolt of inspiration. In the tweet Rowling writes, “The best thing I ever wrote on was an aeroplane sick bag. Came up with the Hogwarts houses on it.” Can’t you just picture Rowling gazing out the window, watching the clouds float by, when suddenly Gryffindor, Ravenclaw, Hufflepuff and Slytherin pop into her head? It almost seems like a fantasy story itself, but if we know anything about Rowling at this point, its that her mind, and her world building process, doesn’t work quite like most people’s. And thank Dumbledore for that! Rowling hopped on to say that she agreed with Ware, and the rest is now locked away in Harry Potter history. It’s super gratifying to see succesful authors like Rowling and Ware turning their noses up at ideas of what ‘real writers’ should or shouldn’t do, and encouraging people to let their inspiration strike whenever, and wherever it may. It seems, so long as you have an idea worth capturing, that’s all the magic you could ever need. 2. When she was extremely young, she would sit and copy words from books “without knowing what the words meant”. 3. She wrote her first story – called Rabbit – age six, and wrote her first novel at age 11. It was about “seven cursed diamonds and the people who owned them”. 4. She was head girl at her secondary school, but doesn’t consider it much of an achievement. 5. One of her teachers, Steve Eddy, remembered Jo as “not exceptional” but “bright, and quite good at English”. 6. She applied to study at Oxford, but was rejected, and instead studied French at the University of Exeter. She said she did “no work whatsoever” while she was at university. 7. Her eldest daughter, Jessica, is named after Jessica Mitford, who was an author, investigative journalist, and civil rights activist. 8. It took Jo five years to plan all seven books in the Harry Potter series. Most of her plans were written by hand on odd scraps of paper. 9. She wrote the last book’s epilogue in 1990, before she had mapped out the series as a whole or even had a publisher. 10. In 2000, she said she’d hope to be placed in Gryffindor, but that in reality she’d probably end up in Ravenclaw. Later, the official Pottermore quiz sorted her into Gryffindor. 11. She has described Hermione as a combination of herself and her younger sister, Dianne: “that sort of annoying person who underneath is very insecure”. 13. The “only time” she consciously put someone she knew into the Harry Potter books as a character was as Gilderoy Lockhart. She says she “barely exaggerated” what he was like in real life. 14. In 2003, her father sold a first edition copy of Goblet of Fire – which included a handwritten inscription reading “lots of love from your first born” – at auction for £27,500. They had stopped speaking earlier that year. 15. The three-year publishing gap between Goblet of Fire and Order of the Phoenix was a direct result of the pressure she felt because of the series’ success. She became so overwhelmed that she found it difficult to write, and told her publisher there “wouldn’t be a book next year”. 16. She maintains that she never truly finished Order of the Phoenix, saying she didn’t do her usual final edit before handing it over to her editors, “and it definitely shows”. 17. She almost called the final book Harry Potter and the Elder Wand and Harry Potter and the Peverell Quest, which she quickly decided against because the word “quest” was too cheesy. 18. Her favourite chapter from the entire Harry Potter series is Chapter 34 of Deathly Hallows, “The Forest Again”. Her favourite from the first book is “The Mirror of Erised”. 19. Her worst fear – like Mrs Weasley’s – is someone she loves dying. For that reason, she understands why Voldemort is so obsessed with conquering death. 20. If given the choice between all three Hallows, she would be tempted – like Harry – to choose the Resurrection Stone, but ultimately believes that “the greatest wisdom is in accepting that we all must die, and moving on”. 22. At the height of the Potter craze, she had people going through her bins, stealing her post, and attempting to bribe her friends in order to find out information about the upcoming plot. 23. She briefly considered not publishing The Casual Vacancy – her first novel after Deathly Hallows – because she felt uncomfortable with the attention any book of hers would inevitably receive. 24. In 2011, Lifetime aired an unauthorised J.K. Rowling biopic called Magic Beyond Words, which she hasn’t seen because “the thought of watching it makes [her] curl up like a pretzel”. 26. She once bought an expensive pair of earrings but felt guilty afterwards for spending the money, so wrote a cheque for the same amount to give to charity. 27. In 2013, she donated £10 million to help open the Anne Rowling Regenerative Neurology Clinic at the University of Edinburgh. The clinic is named after her mother, who had multiple sclerosis. 28. She read aloud from J.M. Barrie’s Peter and Wendy at the Opening Ceremony of the 2012 London Olympics, but initially said no, because she thought she’d “wet herself or faint or something”. 29. She was once invited to visit South Africa by Nelson Mandela, but had to say no because she was pregnant. 30. In 2006, she revealed she had written another children’s book, meant for a younger audience than Harry Potter. She called it “a political fairy story” and it was about a monster. 31. Doctor Who writer Russell T. Davies wanted her to star in an episode where her “imagination becomes real” and the Doctor has to “battle through a world of witches and wizards and CGI wonders”, but David Tennant refused the idea because it would be “too spoofy”. 32. She said that the author she identifies with most is E. Nesbit. 33. Her favourite drink is gin and tonic. At the height of the Harry Potter novels’ popularity, I asked a number of people why those books in particular enjoyed such a devoted readership. Everyone gave almost the same answer: that author J.K. Rowling “tells a good story.” The response at once clarified everything and nothing; of course a “good story” can draw a large, enthusiastic (and, at that time, impatient) readership, but what does it take to actually tell a good story?